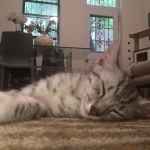 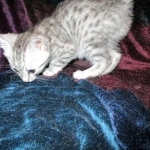 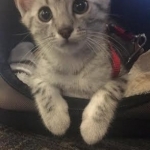 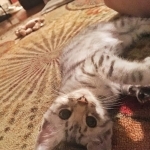 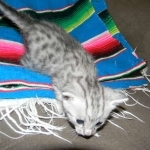 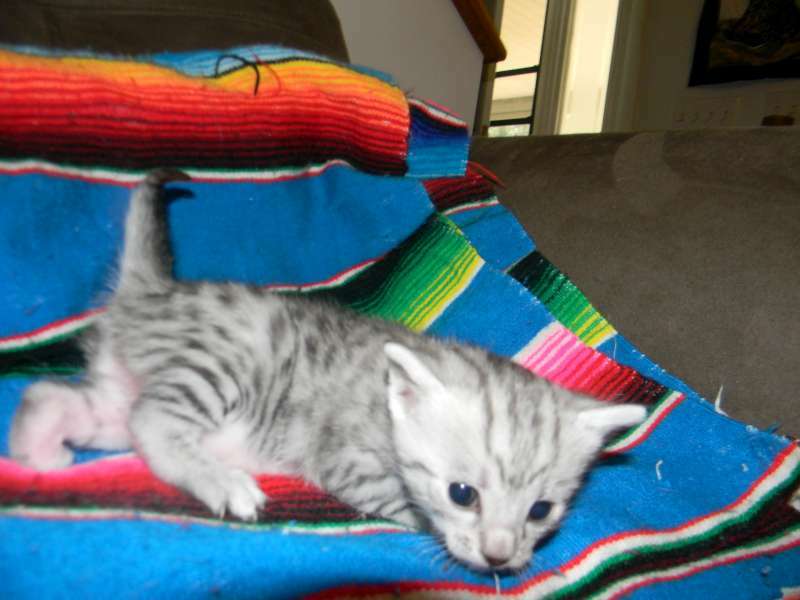 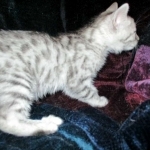 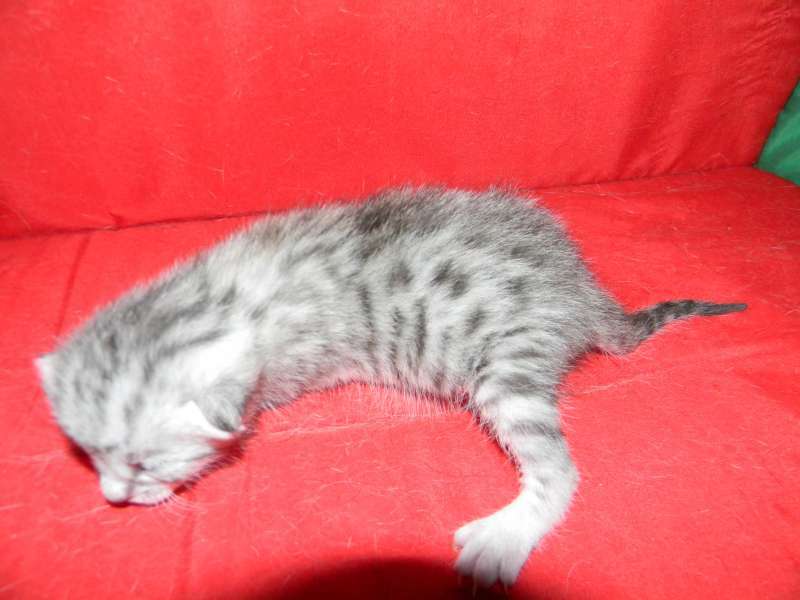 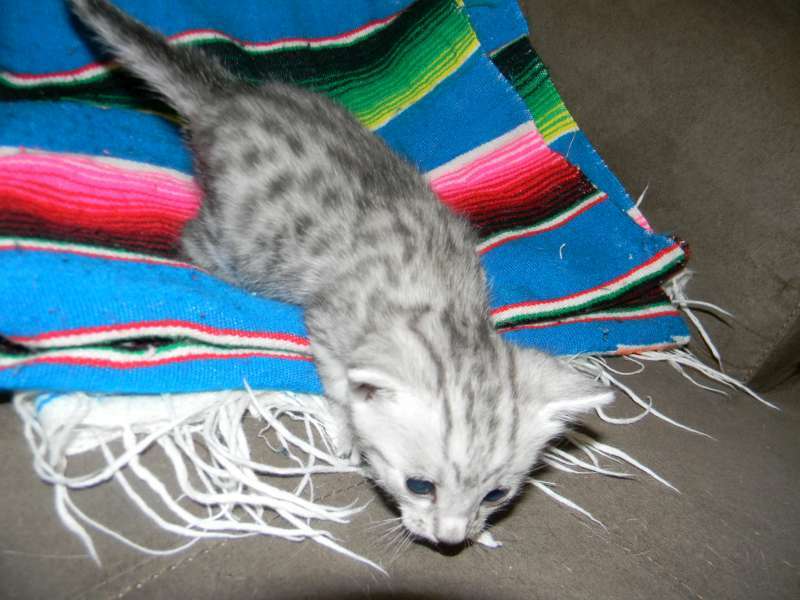 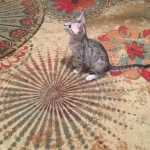 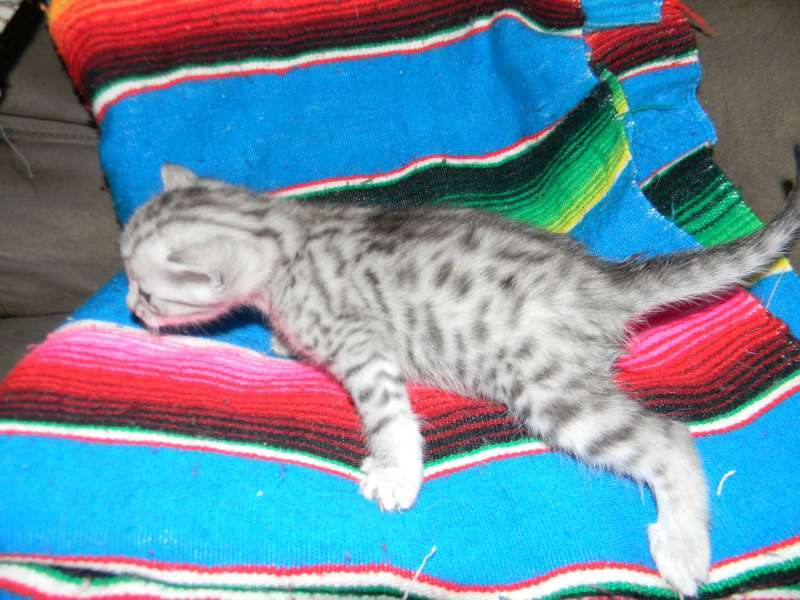 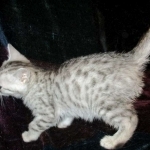 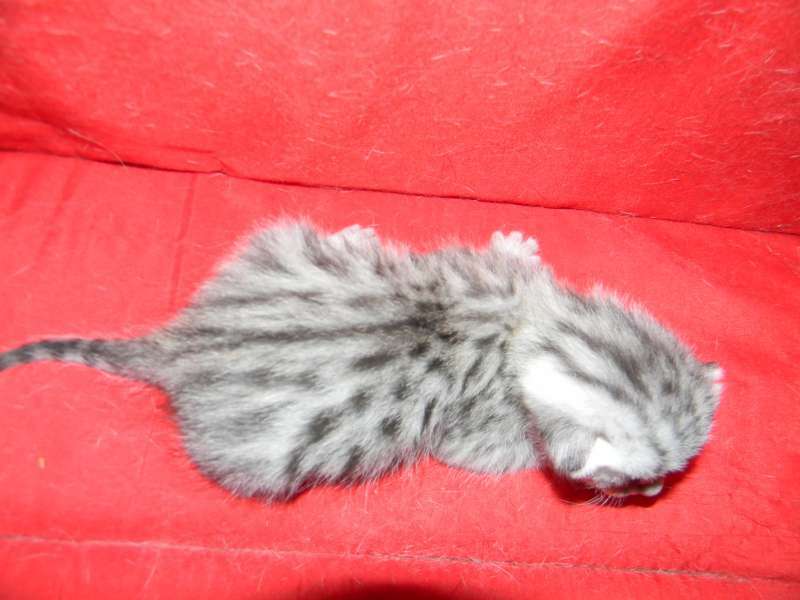 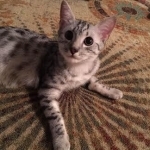 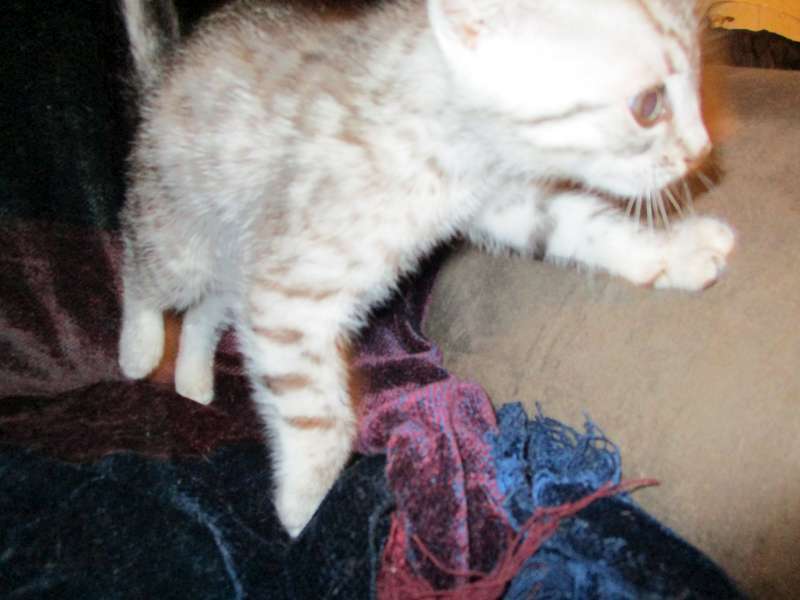 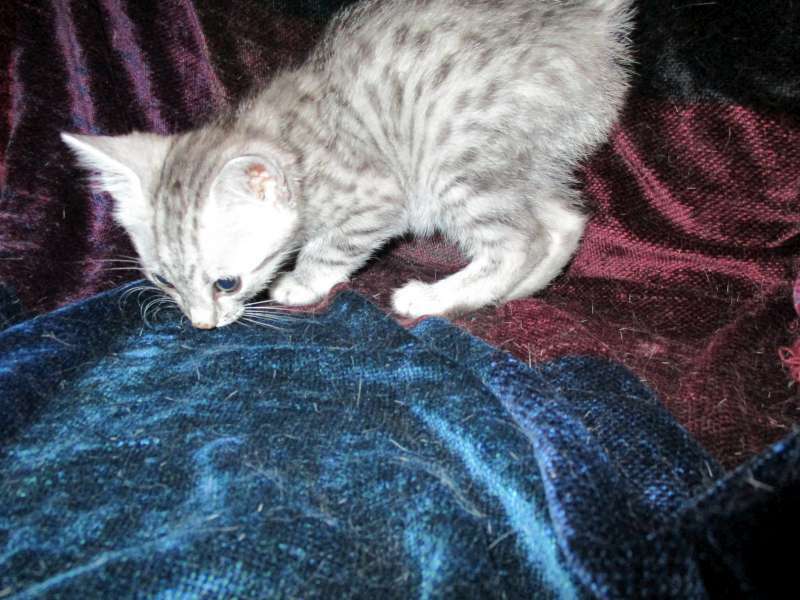 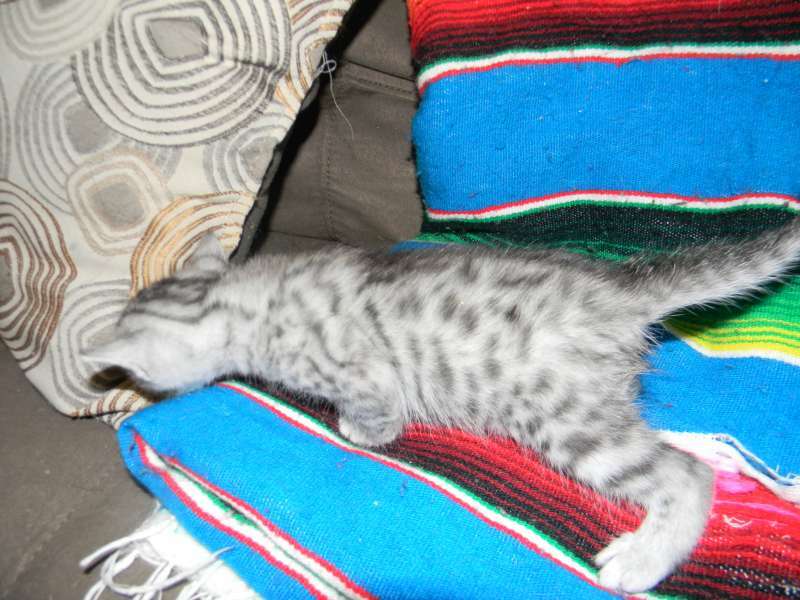 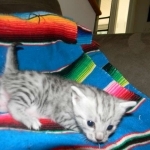 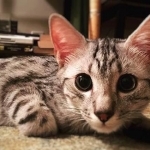 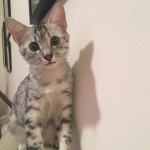 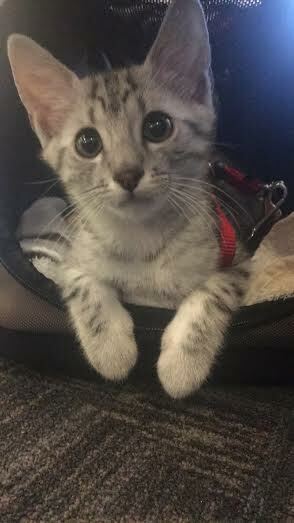 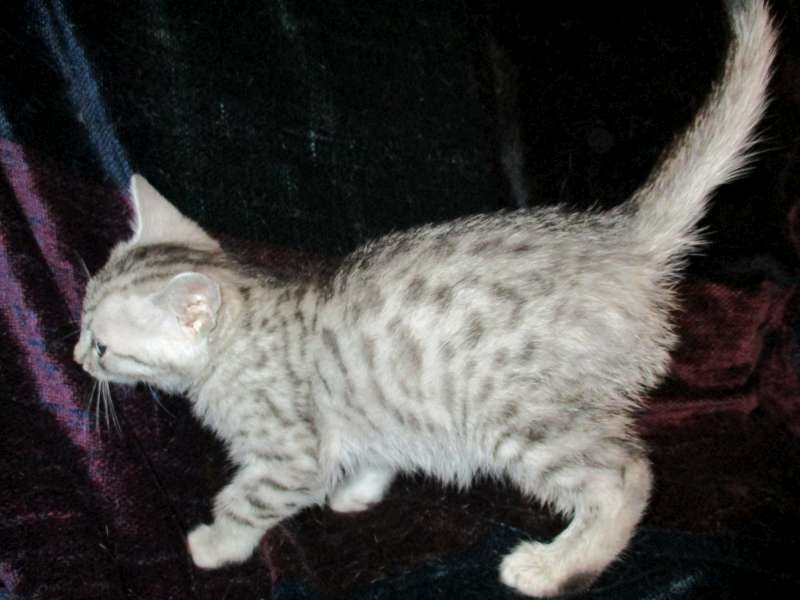 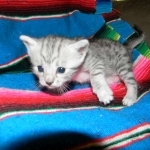 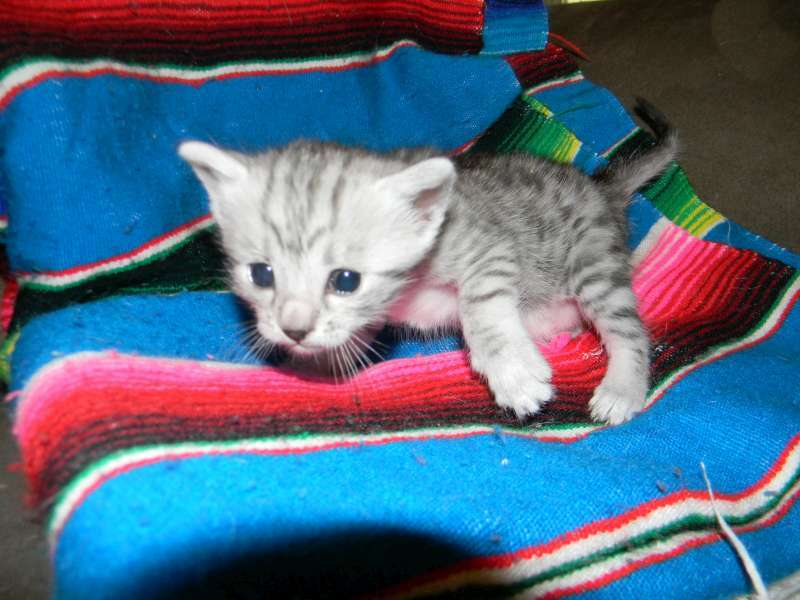 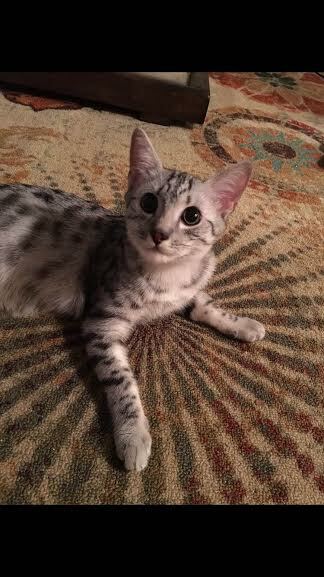 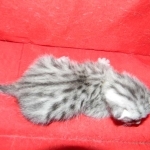 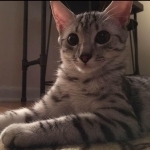 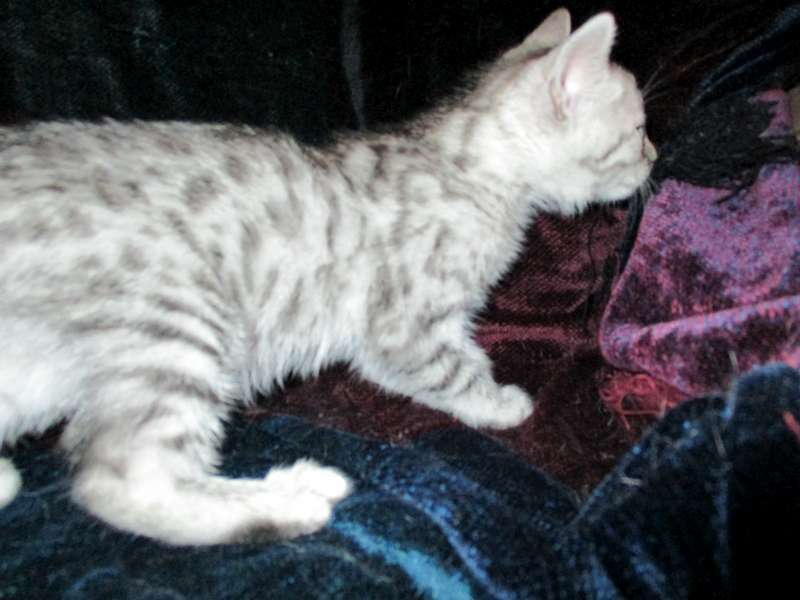 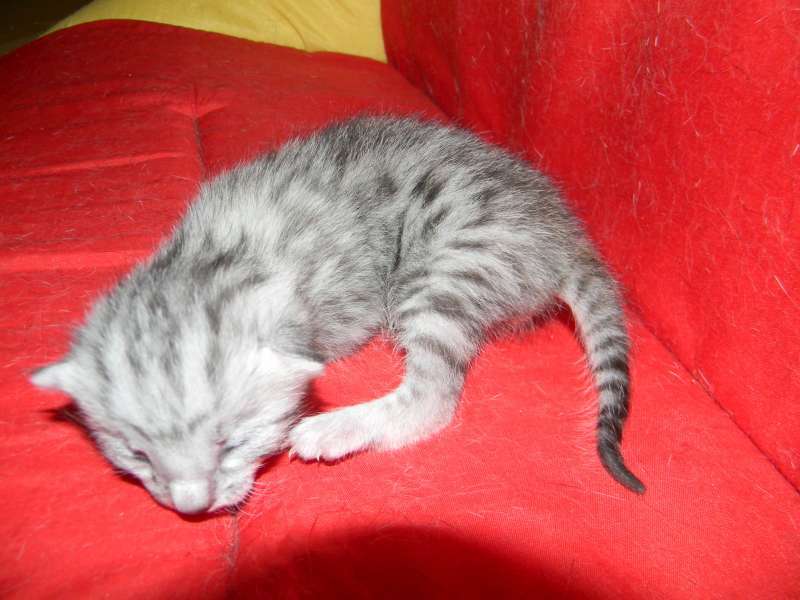 Wadi is a stunning silver mau boy. 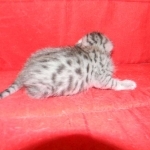 He will be going to live with Morgan in NY. 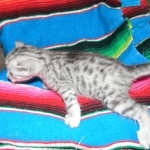 Wadi is doing wonderfully. 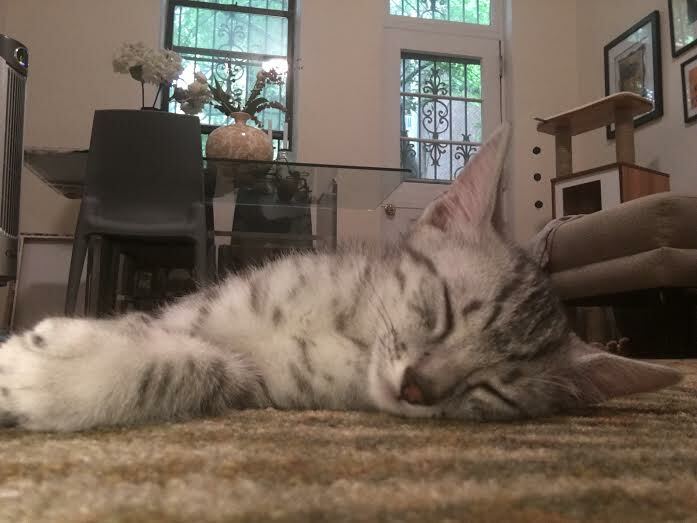 He didn't eat the first night and spent most of his time under the couch. 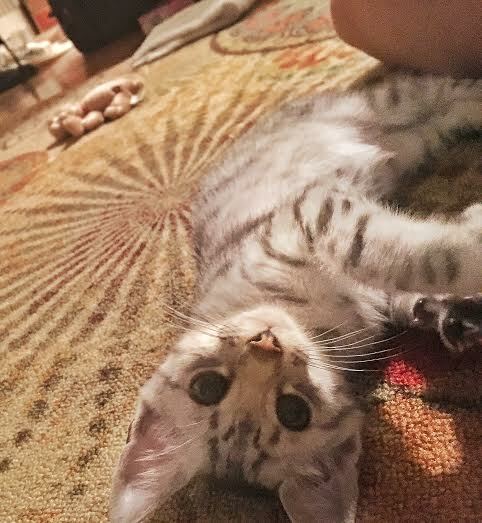 I was having a minor panic attack until we had a break through around Noon on Sunday and he's been eating, running around, playing and purring ever since. 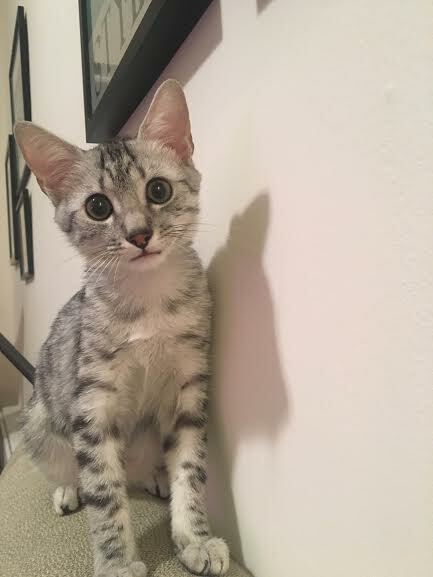 He hasn't had a single mishap in terms of the litter box, which i'm sure comes as no surprise to you and I'm just thrilled about. 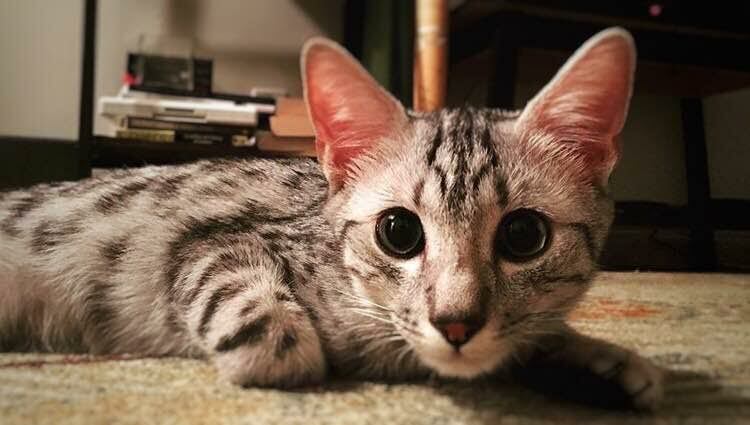 He's absolutely adorable. 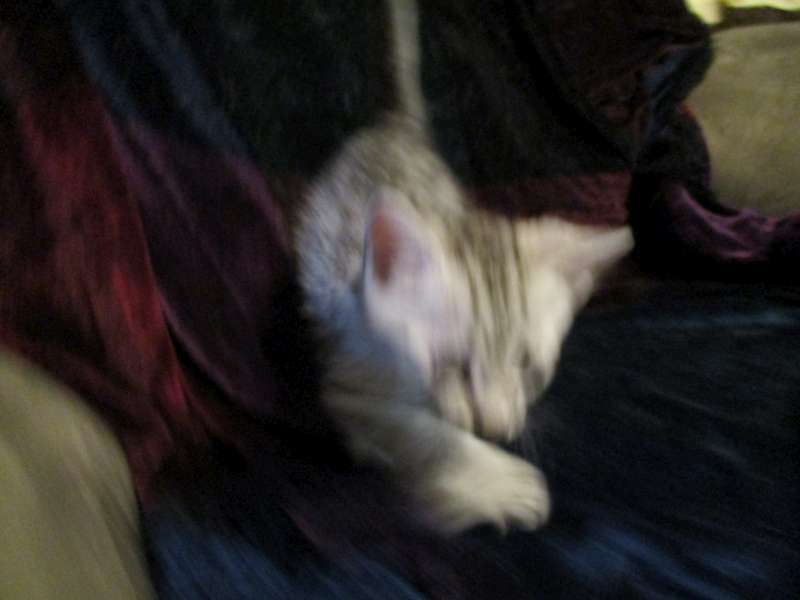 Loves to cuddle up sleep right next to my face, which is adorable. 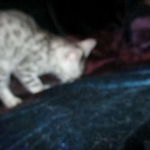 The only thing he has done in terms of damage so far was chewing through my phone charger. 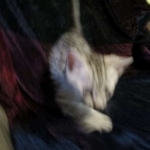 I had been making sure to put cords away when they weren't in use but forgot once when I was running an errand. 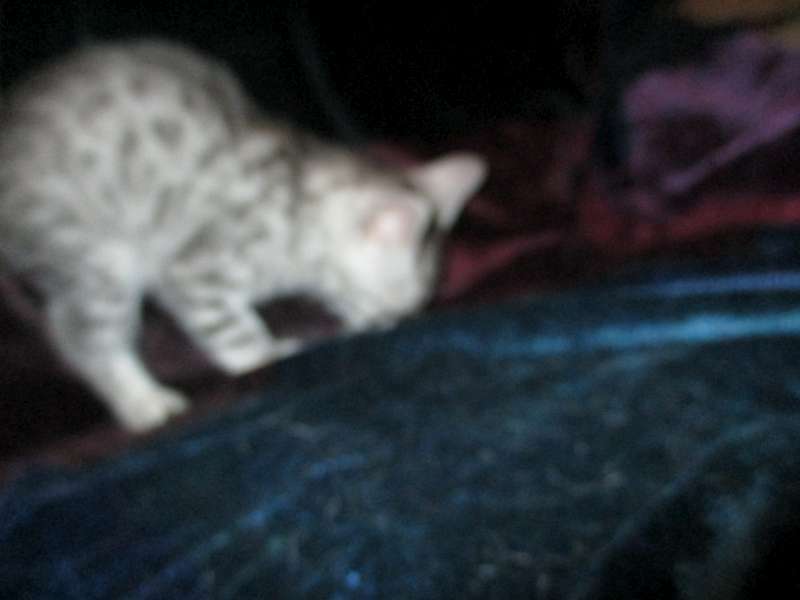 I'm glad he was ok, and I've ordered cord protectors that will hopefully cover everything in my apartment. 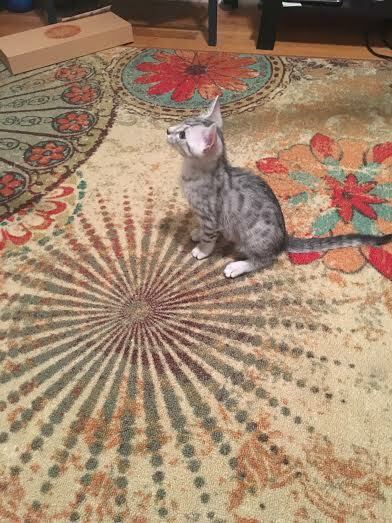 I love in tune he is with his surroundings Each day, he gets a little bit more confident, climbs a bit higher, discovers something new, etc. 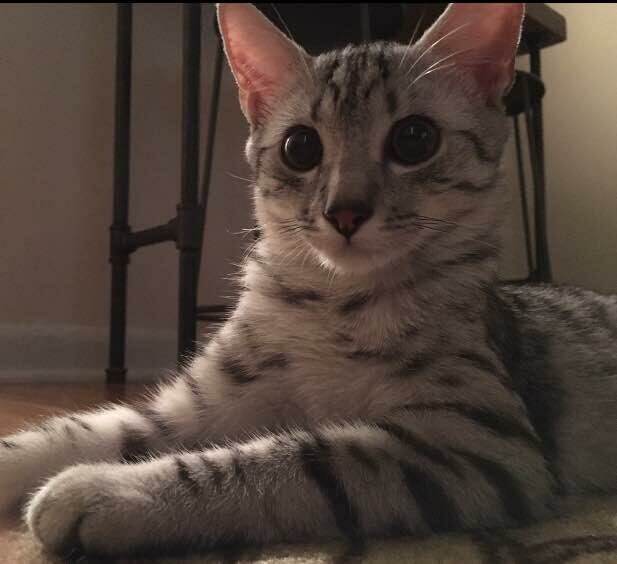 I wanted to share the latest and greatest pics of Wadi. 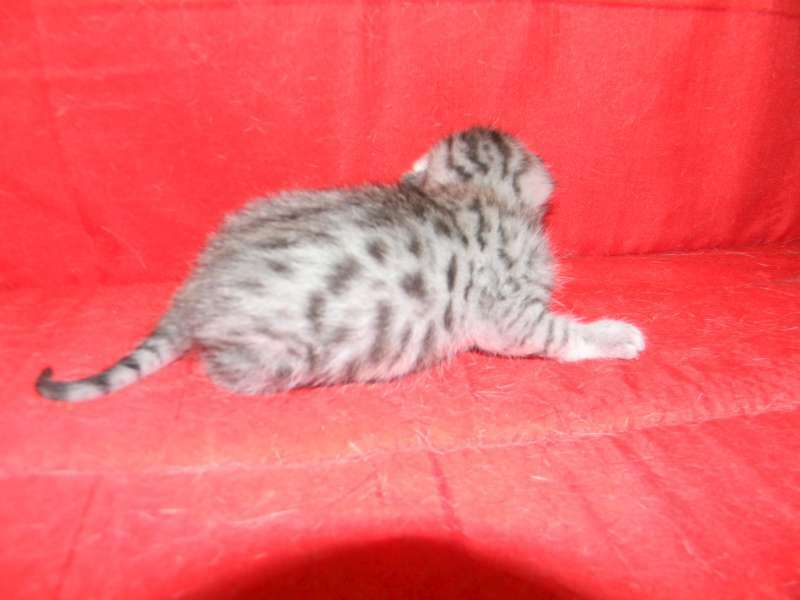 d.
I couldn't be more in love.